Alec Ross served as former Secretary of State Hillary Clinton’s senior advisor for innovation. During that role, he earned unique insight into the changing nature of technology. In his new book, “The Industries of the Future,” Ross not only lays out the key industries that will shape the 21st century, but also provides the geopolitical, cultural and generational contexts out of which they are emerging. Berggruen Institute’s Dawn Nakagawa sat down with Ross to discuss the book. You assert the importance of a variety of disruptive technologies from robots to genetics to coded money. What in your mind will have the most impact on the day to day lives of our children when compared to how we live? Commercialization of genomics is going to change the lives of the vast majority of people on Earth. 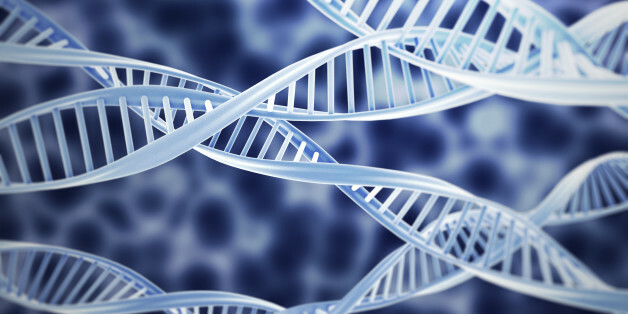 My kids will live longer, healthier lives because of the commercialization of genomics. Today, health care is delivered with a very small degree of customization but that is going to change as genetic screening becomes less and less expensive and we understand better and better what to look for. The last trillion-dollar industry was built on computer code. The next will be built on genetic code. Commercialization of genomics is going to change the lives of the vast majority of people on Earth. You also talk about the potential and perils of big data. What is an example of how big data could go awry? There are a large variety of possibilities, more than we can imagine at this stage of development. But take, for example, the Good2Go app. In response to the rise of sexual violence on college campuses, this app is used to document mutual consent to sexual activity. With an add on, it can also be used to read blood alcohol levels. So you are codifying sexual activity. In the terms of service agreement, that data can be sold. So information on the best bars to hook up at can be aggregated, or where to pick up a 19 year-old. Worse, what if the information is hacked? The consequences are quite serious. Your experience in the State Department gave you a front row seat to the U.S. foreign policy agenda. Do you believe cyber occupies the space it should in foreign policy and security policy? I spent a lot of time in the White House Situation Room. I have seen what we have averted. We have graduated from a Cold War to the Code War. The weaponization of code is the biggest development in warfare since the invention of the atomic bomb. There is not a leader in office today who does not make cybersecurity a priority item on the national security agenda. But it seems there is a lack of consensus internationally on the rules of engagement on this new front. Are there conversations taking place about this? Are terms of cyber engagement under negotiation? Progress is slow. All of the key players are condemned for their behavior in cyberspace but for different reasons — the U.S. for surveillance practices, China [for its] mass theft of IP and Russia for using it to access accounts and steal money. The reason why we are not having more conversations about the rules of engagement is because they are very poor, unproductive conversations. With each actor pursuing its own interests and behaving differently in cyberspace, the incentives are not aligned. But China is maturing from a developing to a developed economy, and given the amount of investment [the Chinese] are making in innovation, particularly in genomics, their incentives have changed. We can expect they may be more willing to establish rules governing IP protections, which hopefully will open the door to further conversations. The weaponization of code is the biggest development in warfare since the invention of the atomic bomb. What more do we need to be doing to make sure that we avoid some of the pitfalls and potentially negative outcomes from technology? The book neither takes a utopian nor a dystopian view of the future and the truth is, net-net, I believe technology is going to make the world a better place. However, there does need to be more oversight of the development of these technologies. How do you recommend we go about creating systems of oversight? As we bring new technologies to market we need to coalesce around a set of norms that reflect our values and those norms must govern our decision-making and policymaking in this area. This responsibility does not belong just to government or just to industry. The Internet is governed by a multi-stakeholder group made up of academia, business and government. Similar bodies need to be created for genomics, Big Data and other technologies. How can parents prepare their children for this rapidly changing world? I dedicate a whole chapter to this under the title: “The Most Important Job You Will Ever Have.” The most important thing that parents can do is raise their children to be globally minded and culturally fluent. It will be the unintimidated who will find the next growth markets. They need to be problem solvers and have the tools to do so. That means learning to code. Coding teaches a way of thinking that will serve them well, even when the coding language they learned is obsolete. How will tech have transformed our lives by 2026?